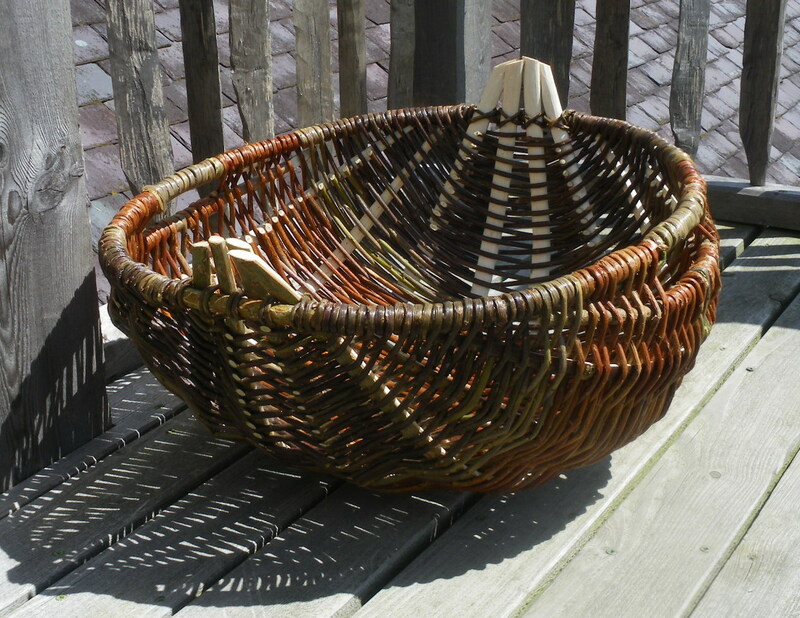 This entry was posted in Basketry, Carmarthenshire, Ceredigion, Traditional Crafts, Wales, Wood, Yorkshire and tagged basketry, coppice, craft, cyntell, heritage, history, les llywellyn, Traditional, wales. Bookmark the permalink. Hi Rachel, just scanning through your blog and there are some really interesting posts here. 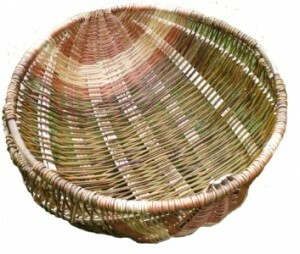 There was a film done of DJ which is available through the basketmakers association. Two makers who learned directly from DJ and do courses are Owen Jones and Ray Lister. Owen just does one course a year for friends who ask, I have not done it yet but it’s high on my list, his swill course is wonderful. Thanks Robin, it’s great that many of the custodians of these crafts have been filmed and even better that there are people that who have learnt the skills from them. I shall update the post to include a link to Ray Lister’s and Owen Jones’ courses. 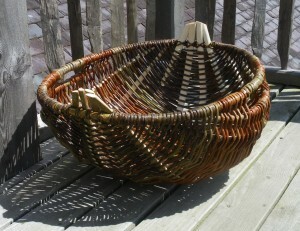 The more Cyntell basket making courses the better in my book! Personally, I really want to go on one of Owen’s swill making courses……. I’m learning how to make the cyntell with Les in two weeks’ time and really looking forward to it! 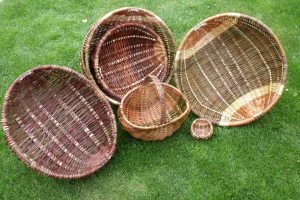 I’m also interested in doing some research around this form of basket, so if you have any more sources I’d be keen to hear about them. As a non-Welsh speaker living in Wales, I believe ‘dd’ in Welsh sounds like ‘th’; ‘ll’ is pronounced something between ‘cl’ and ‘tl’. Hope you have a good time with Les – I would like to get up and learn how to make a cyntell sometime. And I wouldn’t mind learning how to speak Welsh too!